Back by popular demand, Therm-A-Rest's Down Pillow is luxurious comfort on the go. Compact and lightweight, this pillow is perfect for the backcountry adventurer or weary traveler in need of a good night's rest. Updated with 650 Fill Nikwax Hydrophobic Down™ and a larger cinchable area to stuff unused clothing for enhanced loft. Back by popular demand, Therm-A-Rest &apos;s Down Pillow is luxurious comfort on the go. 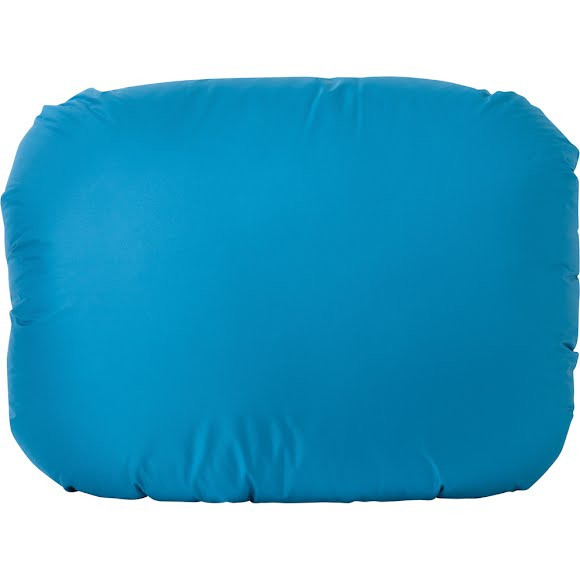 Compact and lightweight, this pillow is perfect for the backcountry adventurer or weary traveler in need of a good night&apos;s rest. Updated with 650 Fill Nikwax Hydrophobic Down™ and a larger cinchable area to stuff unused clothing for enhanced loft. Comfortable: 650 Fill Nikwax Hydrophobic Down™ provides comfy, drool-proof loft; brushed polyester feels luxurious next to skin! Measurements 46 cm x 36 cm / 18" x 14"